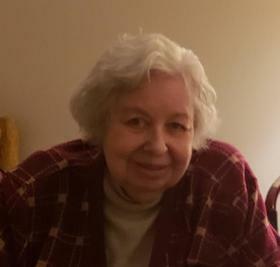 (nee Bellis) Passed away peacefully January 27, 2019, age 90 years. Beloved wife of the late Gerald. Fond stepmother of Michael and his family. Loving sister of Ella Schumacher. Dear aunt of Cathy Casey, Tom Bellis, and Tim (Carla) Bellis. Great-aunt of Connie, Tiffany, and Alex (Elizabeth). Great-great-aunt of Ella. Further survived by her cat Pinkie, other relatives, friends, and her "family" at EastCastle Place. Committal Service 10:00 AM Wed. Feb. 6, 2019 at Arlington Park Cemetery Chapel, 4141 S. 27th Street, Greenfield - go in main entrance and continue straight to the Chapel and Mausoleum.